Google is one of the most admired companies for presenting information. Google Maps is one such app that provides the details of locations around the world. It is difficult to pin locations when detailed maps are not available. In developing countries, it is a constant change of the face of emerging cities. Maps need to be updated regularly. They need to be clear and accurate. 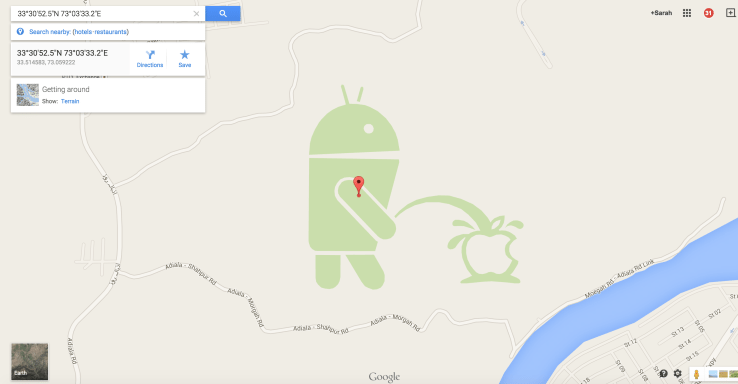 Google recently found spam in its mapping service that was added by a map maker called “nitricboy”. Online tools help users to pin locations on Google maps. This reflects the latest and accurate details on its mapping systems. Map maker is an online tool to map locations on Google maps by its users. After discovering spam markings in its mapping services using map maker, Google has been improving ways to detect spams. Spammers use these tools to point locations with meaningless mappings. Spams are popular in emails. They are less harmful than viruses. They are sometimes used by marketing agencies to promote their services to a wider audience. They are also used by spammers to exhibit fun and insane messages to the public. Detecting spams is a difficult task. For example, in mapping of location of a bus station, a spam can pin promotional ads for travel services from that location. As spams can be promotional, it is difficult to detect the spam and remove them. Google is investing in spam detection systems to ensure their mapping services reflect the right information. This is achieved by content scanning and reviewing before it gets posted on the maps. Much like Facebook where the user’s posts are published only after review, Google is finding ways to pin locations by users after a review. The ecosystem of Google is an open ecosystem. It has advantages as it is open to public, but it is also malicious as the ecosystem is unaccountable and it is difficult to watch over it. Apple on the other hand is a closed system where every post of app or mapping goes through a complete review and scan process before it gets into the app store. Google has been the most reliable information provider on the internet. It is also the faster information provider. It is constantly endeavoring techniques to ensure the information is correct. Yet another way Google can detect spams is by reviewing its online tools that goes published on the Play store. Google can ensure there is a certain test criteria for the apps to pass before it gets to play store. This will ensure the tools like map maker are used in a legitimate way. Spams in maps are more contextual and is pretty challenging to detect them. Google can try to review the pinned location from a user using the tool to other users to review and approve. It can integrate its AdSense to those users, so they review the pins and approve them in a legitimate way. Hiring staff for the sole purpose of spam detections may not be an easier option. What comes from the public has to be reviewed by the public for its legitimacy before it actually becomes public.